Here you can set the cost for individual sessions. 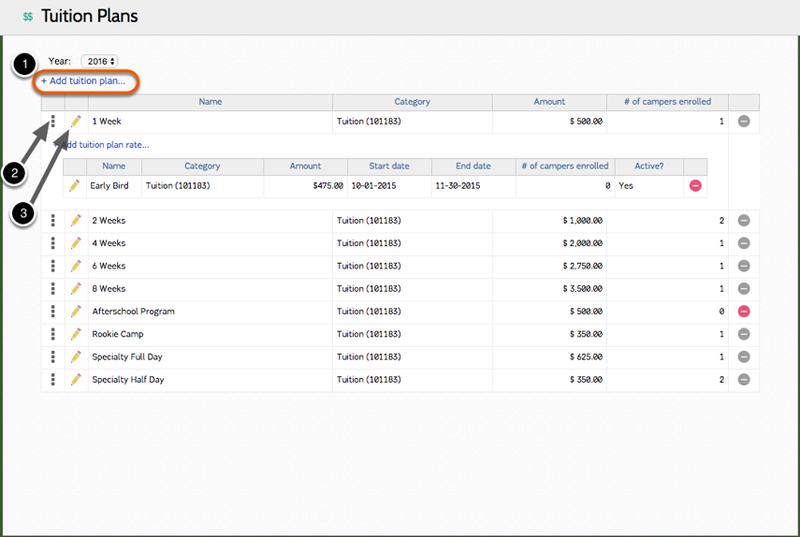 Add a tuition plan based on your sessions. The "three dots" can be double clicked to open special tuition plan rates (i.e Early enrollment price). 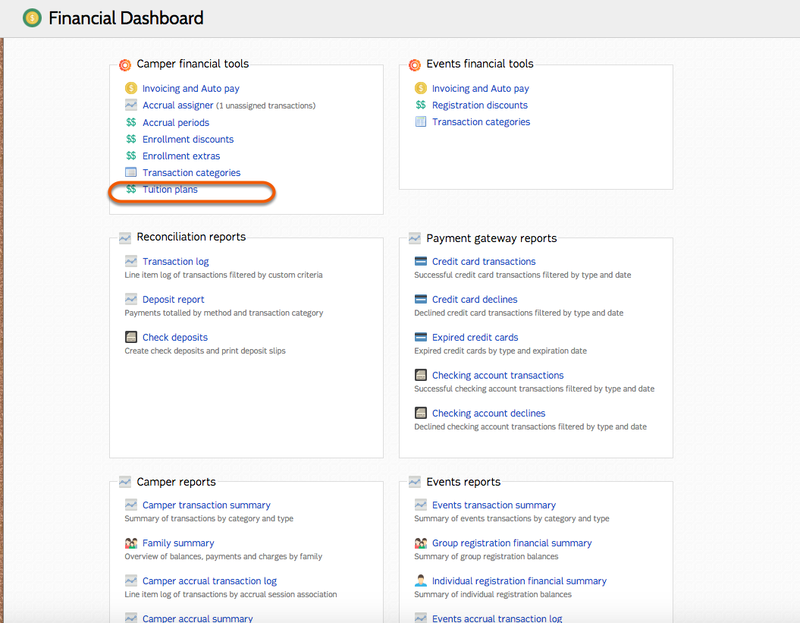 The pencil modal allows you to edit the plan and rates after they have been created. Select a category from the dropdown. 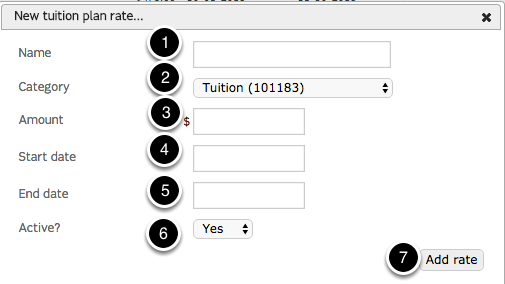 Click "Add tuition plan rate..."
Select a category from the drop down. Name the start of the time period where this rate will take place. Name the end of the time period where this rate will take place. Select whether or not this rate should be active from the Parent Dashboard.